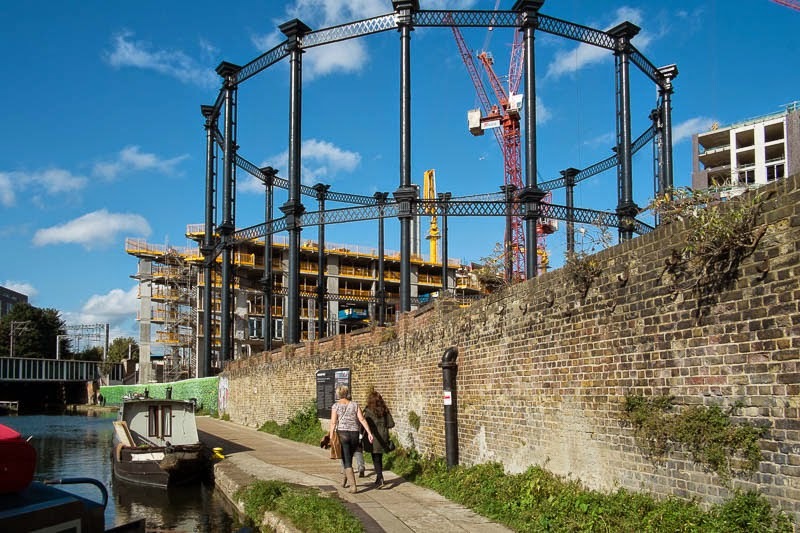 The Victorian gas holders that were dismantled back in 2011 are making their way back after refurbishment. They are being installed in a different spot, closer to the canal. The new development will include a park, shops, restaurants and apartments. I wonder how it will feel to live an an old gas holder! Quite an unusual construct, at least for those of us on this side of the ocean. I had the same thought as Bill first..... I hope this will be really nice, and with a view to the river sounds nice too.